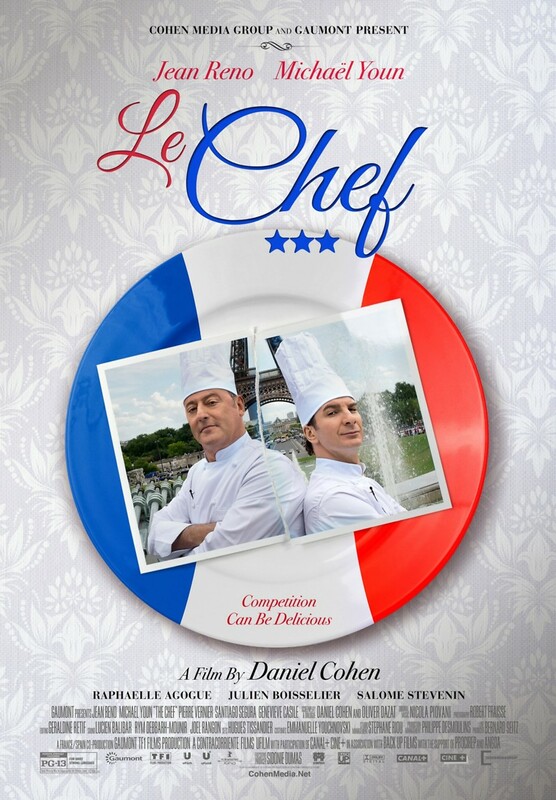 Le Chef DVD and Blu-ray release date was set for October 21, 2014. As an aspiring chef, Jacky Bonnot has a lot of potential but no luck. After losing his restaurant job, he takes a position outside the kitchen to make ends meet. Despite this, he quickly finds a camaraderie with three local culinary interns, who share Jacky's ideas with their head chef, Alexandre Vauclair. As the chef of the highly regarded Cargo Lagarde, Alexandre is also under culinary pressure to update the menu or be fired. With one chef having nothing to lose and another facing the loss of everything, Jacky and Alexandre form an unlikely partnership that could save them both.